If you haven’t seen it yet, here it is, Luka Pinto’s Croatian Shootout video. Starring, in order of appearance: Gosha Konyshev, Zoe Miloš, Dillon Catney, Tom Day, Jim Craven, Joe O’Donnell, Mikey Patrick, Aymeric Nocus, Luka Pinto, Csucsu Szlavik and Nich Kunz. Music: Joe Evans (banjo), Rory Drinnen (base). To accompany the release of the video, and the accompanying article in Grey vol. 04 issue 01 (in shops now), here are some photos by Henry Kingsford that did not feature in the new issue. 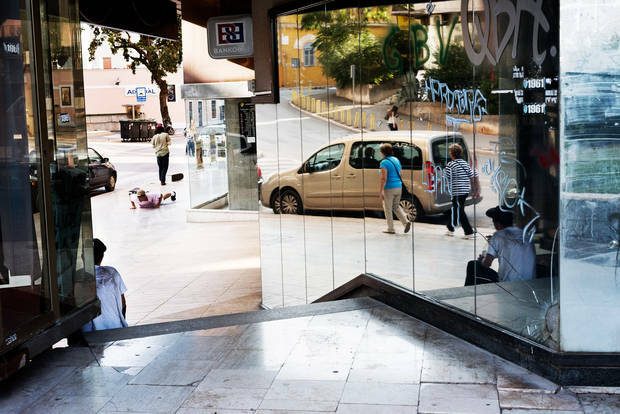 Mikey Patrick, alley-oop backside 180, Pula. Dillon Catney, backside nollie 360 flip, Barbariga. Mikey Patrick, frontside kickturn, Barbariga. This entry was posted in Video and tagged Aymeric Nocus, Csucsu Szlavik, Gosha Konyshev, Grey mag, Grey skate magazine, Henry Kingsford, Jim Craven, Joe Evans, Joe O’Donnell, Luka Pinto, Mikey Patrick, Nich Kunz, Photography, Rory Drinnen, Tom Day, Video, Zoe Miloš. Bookmark the permalink.